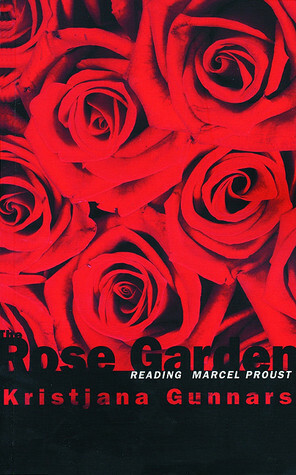 Kristjana Gunnars, Rose Garden: Reading Marcel Proust, Red Deer Press, 2002. Georges Bugnet Award for Fiction. Combining the genres of fiction, memoir, the familiar essay and theoretical speculation, The Rose Garden forms an unusual synthesis. The protagonist and narrator is a Canadian literary scholar on study leave in Germany. While there, her involvement with her books on the one hand and a love relationship on the other creates a surprising blend of life and fiction. Her readings in classical European texts forefront the question of a woman reader's response. Her involvement with her lover makes her wonder why there is so little difference between life and literature on the level of experience. This is an uncommon book that defies traditional rules of style and genre and provokes the question of what meaning literary works actually have in our lives. I'm interested in how we read books, in our relationship with books, and with particular books. I'm interested in those books we return to again and again and in those volumes we re-read. The Rose Garden: Reading Marcel Proust by Kristjana Gunnars is, for me, one of those volumes. In fact, my fascination with the subject could likely be easily traced back to my first encounter with this book which is about how we read and perhaps, how a particular woman writer reads. In this book I found validation for a type of behavior that I had thought was odd and unacceptable, or as the author might say, perverse. I do not care whether I have understood Marcel Proust. If my misunderstanding is good, why should anyone care? Even if my misunderstanding has no value. Appropriate understanding is beside the point. So is the fluency of the lie. Perhaps, as Proust says, I had a kind of appointment with myself. But it was a meeting of a different nature. I was not engaged in the act of writing a book. There was just a question I needed to ask myself. The question was so unfocused, I did not exactly know what it was. I wondered for example, about the woman who wishes to be alone. Is it different from when the man wishes it to be so? The idea of solitude has been dignified for men by the great thinkers. But I could not escape the suspicion that the women who choose solitude in our literature come out of it a little odd. It occurred to me in this summer of reading that the whole idea of "reading" is suspect. We think that to read is to sit down with a book, scan its pages word for word, finish it, and put it away. That is a consumer model of reading, and that is the one we have. Then we make an industry of the commentaries we produce about the books we have consumed. The market economy relies on this idea of the reader as consumer, in order that we may go and purchase another book, and then another. So we can say, "I have read that book," and it will be the equivalent to saying, "I have been to the Andes" or "I have seen India." The reader as tourist. Kristjana Gunnars, Prowler, Red Deer Press, 2002. A powerful postmodern novel combining the elements of a psychological thriller with the history of a people trapped by landscape and politics. A poetically charged text prowls the isolation and heartbreak of a girl growing up in Iceland in the post-war years, and her later experiences as an immigrant in North America. What emerges is a widening mystery of origins in which every word becomes a clue to the unspoken. 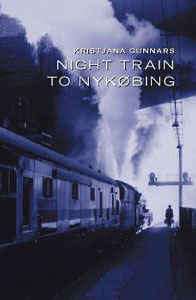 Kristjana Gunnars, Night Train to Nykobing, Red Deer Press, 2002. A woman hopelessly in love boards the night train to Nykobing, Denmark, not knowing if the lover she leaves behind will ever be with her again. Then, through attempts to write her distant lover a letter she knows will never be sent, she recounts a long vigil, inspired by love, and her conspiracy with a waiting heart. Night Train to Nykobing is a transformative tale that articulates the dense codes of love and the intensity of a life on the edge of abandonment. But this also is a story of return, finally, to a heart that has wandered through the desert of time. 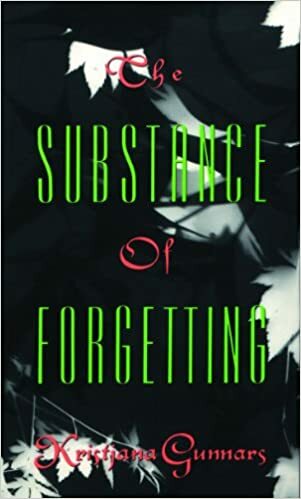 Kristjana Gunnars, The Substance of Forgetting, Red Deer Press, 2002. In the tradition of Marguerite Duras, Gunnars explores a multi-layered romance-between East and West, rural and urban, silence and words. Kristjana Gunnars, Any Day But This, Red Deer Press, 2004. On the Sunshine Coast of Canada, people live and die, come and go, caught in webs of their own making. The stories in Any Day But This follow those webs to their probable conclusions. Everyone has bad days and in these stories, people can hardly tell the bad days from the good. But the spirit is stronger than circumstance, and memory vies with determination. One thing remains true in all the variations of fate: life hardly ever turns out as you expected. Here are stories of love and loss; of claiming, losing and reclaiming dignity, heartbreak, grief and joy. In these tightly wrought stories, characters find their masks removed to reveal their true selves within. One woman slowly realizes she belongs to a class she secretly despises, while another finally decides to face her worst fears and then cannot find them. A gregarious man unexpectedly finds himself alone and friendless while another bravely walks into life's worst nightmare and discovers it's not so bad. The dilemmas and conflicts Gunnars' characters face are those all of us encounter. Kristjana Gunnars, Silence of the Country, Coteau Books, 2002. 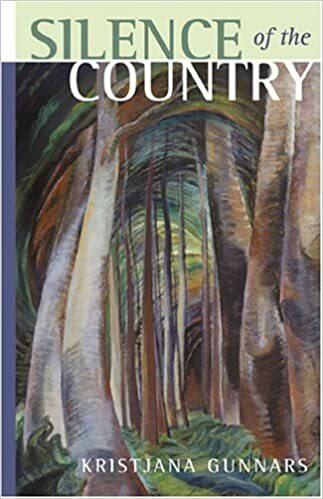 The poet, having been in Norway for six months, returns to her British Columbia home only to find she must write herself back into both her physical and psychic landscape and environment.These poems are rites in the task of bringing the poet back home. With the poetic craft and precision of language she is noted for, Kristjana Gunnars takes us along on her re-entry into the sights, the sounds, the smells, the colours, the light, the landscape, of her west coast home. 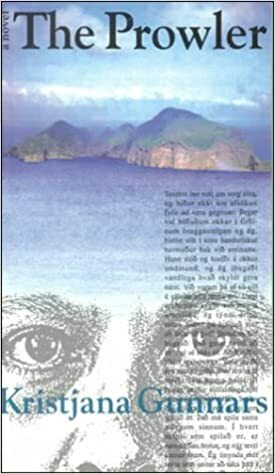 She also experiences occasional flashbacks to her exile in a faraway country, Norway, which is reminiscent of her own Icelandic home, and at the same time strikingly different.Appearing at first to be deceptively small and simple, these poems, when pressed, reveal deepening layers of imagery and emotional complexity. It takes supreme skill to create powerful, satisfying statements in such brief poetic packages, but Kristjana Gunnars proves herself more than capable of meeting the challenge. Kristjana Gunnars, Zero Hour, Red Deer Press, 2002. The story of a daughter's vigil over her father's death and her journey through grief in the aftermath of his decision to die with dignity. 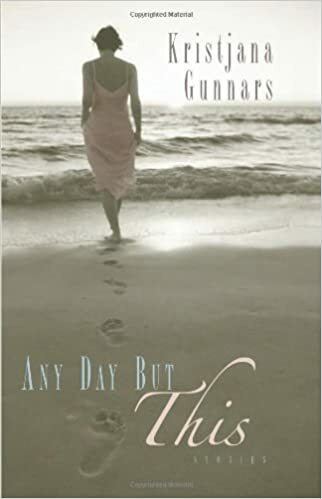 An unforgettable book, a poetically charged memoir of the author's passage through grief.